Pachmarhi is 54 km from Pipariya Railway station. 150 km from Itarsi Railway station. Nearest Airport is Bhopal 210 Km, Indore 390 km, Jabalpur 250 Km and Nagpur 270 Km. Pachmarhi is located at 3500 feet above sea level near the heart of Madhya Pradesh the “Queen of the Hills” Satpura Range. 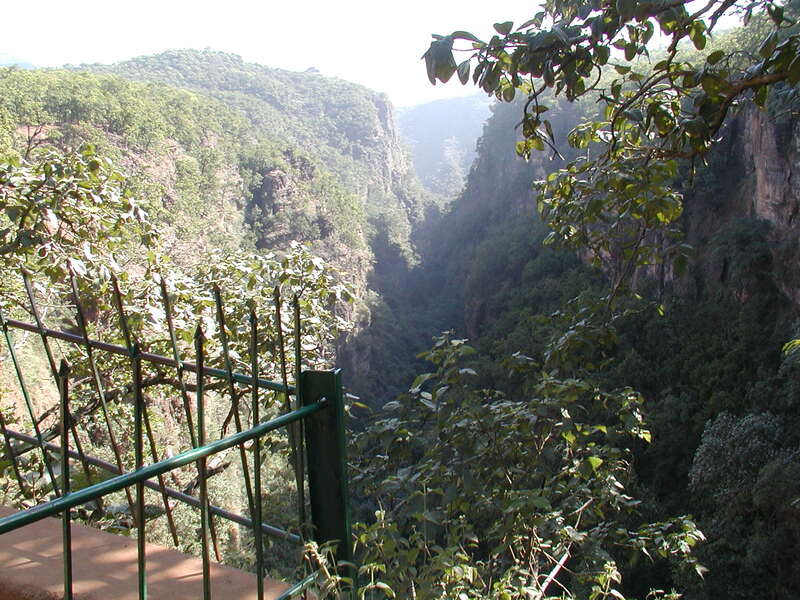 Pachmarhi is located adjoining Satpura Tiger Reserve which is a national park. Special Area Development Authority (SADA) is an autonomous body of Madhya Pradesh Government. Apart from providing municipal facilities to the civil area of Pachmarhi (Civil Area is separate from Cantonment area i.e. ; market vicinity). We maintain several parks/gardens/boat club and provide hotel facilities to the tourists. We offer lodging and boarding to the tourists amongst sprawling greenery away from the noise and congested narrow streets of the market at such reasonable prices, you will be surprised. You will also feel secure and at home with us. One of main attraction points of the beautiful surroundings of Panchmarhi town is a natural monument, site of legends and shrine - Jata Shankar. Important part of the experience is path towards the cave shrine with numerous small shops selling herbs and medicines. Near the cave there are two small ponds fed by springs - one is fed by cold spring, another one - by hot spring. Here originates Jambu Dwip stream.Cave itself is hidden in deep ravine. Enormous, seemingly loose rocks are perched in ravine above the heads of visitors. An imposing canyon with a 300 feet high crag amidst a dense forest, Handi Khoh in Panchmarhi is endowed with marvelous scenery. The clinging rock face of this gulch is a haven of large beehives Bounded by a deep woody forest, this lovely place is closely associated with Lord Shiva. The popular belief is that Handi Khoh was a lake earlier. This is the point from where Captian Forsyth discovered Panchamarhi in the year 1857. 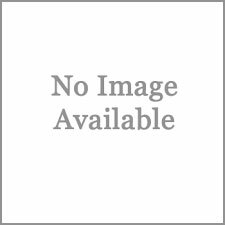 After that the British developed Panchmarhi as a resort. The churches and other structures of this hill station are the clear evidence of the colonial influence. Formerly known as Forsyth point, this vantage point provides the panoramic view of Panchmarhi and its splendid surroundings. The most spectacular vision from this vantage point is that of the Handi Khoh ravin. This cave is about 60 feet Long. It is a mythological belief which says that Lord Vishnu incarnated as Mohini Killed the demon King Bhasmasur here. Large idols of Lord Brahma, Vishnu, Mahesh and Lord Ganesha have been enshrined inside the 60 feet long cave. A Serpentine road adorned with stark green trees and shrubs goes to Bade Mahadeo. Water constantly falls upon the shivlinga inside the cave. 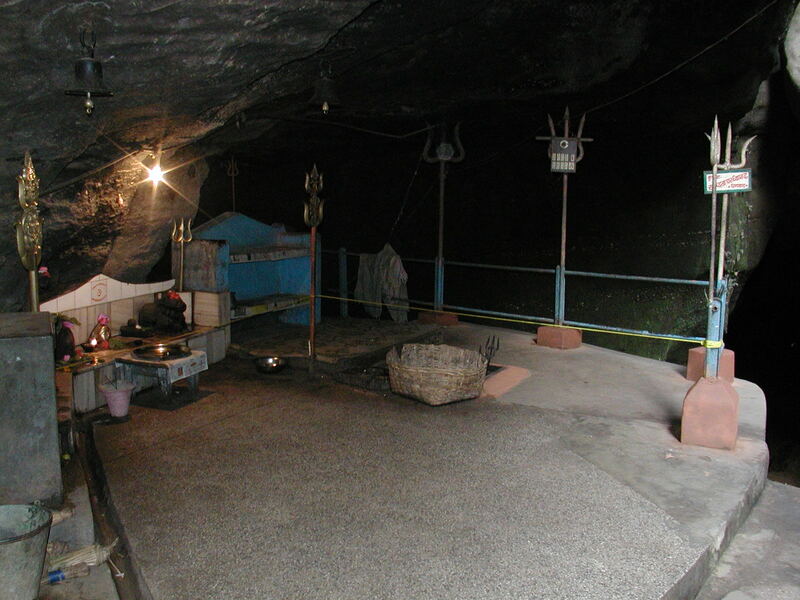 A kund is situated in the middle of the cave. 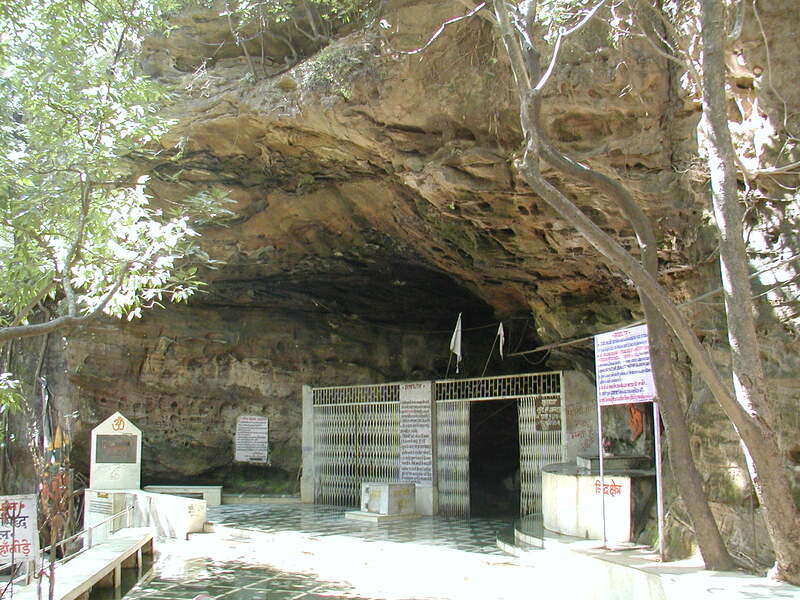 There is another cave situated near bade Mahadeo, the cave of Goddess Parvati. There is large of pilgrims on the occasion of Nagpanchemi MahaShivratri. This cave is about 40 feet long. 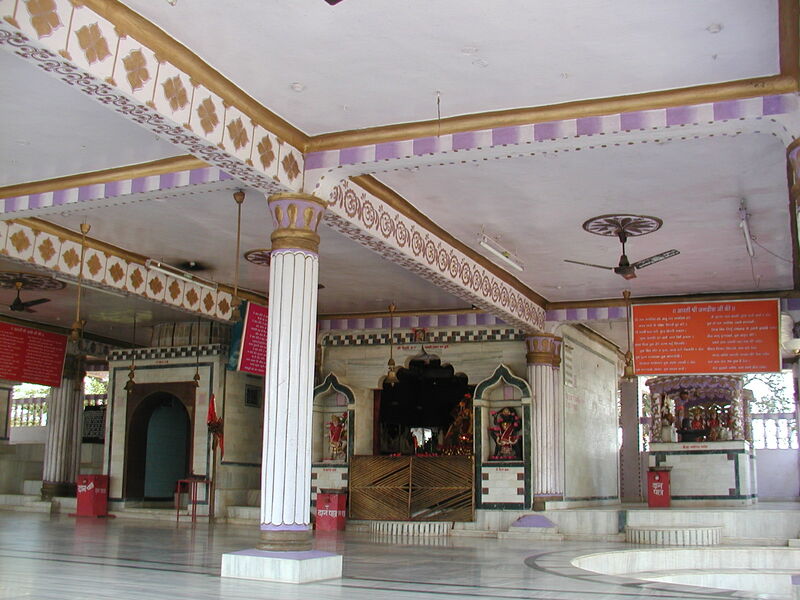 The path of Gupt Mahadeo goes from inside the Bade Mahadeo. There is a narrow path which leads to Gupt Mahadeo. 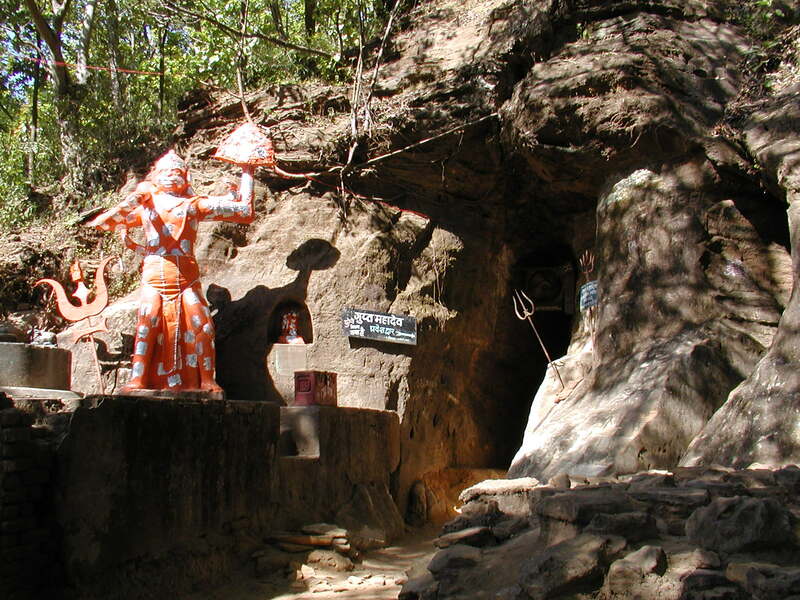 There is idol of lord Ganesha and Shivlinga enshrined inside the cave. Only eight persons can pass at a time. An idol of lord hanuman has been enshrined at the entrance. Pachmarhi Lake is a man made water-body, but its serene and scenic surroundings along a vast expanse makes you feel like you are floating in a natural paradise. 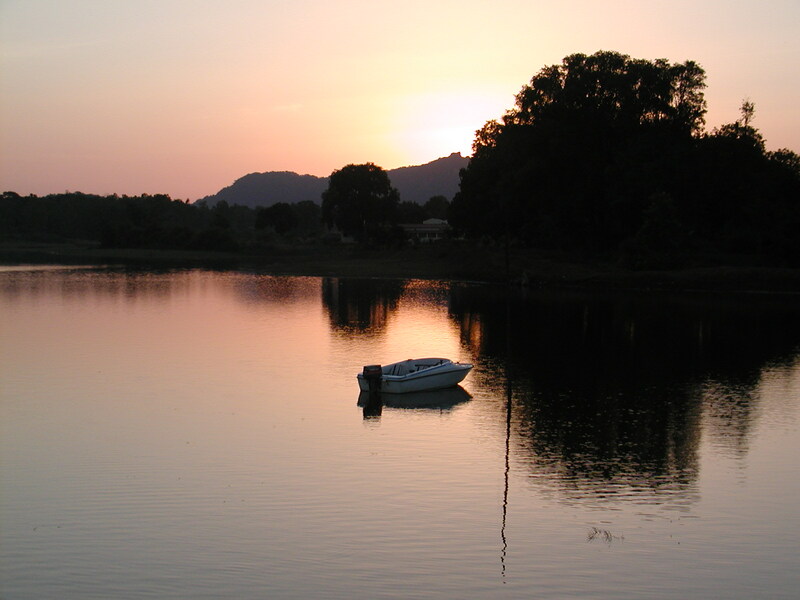 Pachmarhi lake is an ideal venue for boating. Horse & camel rides, as well as food stalls are also available for visitors. 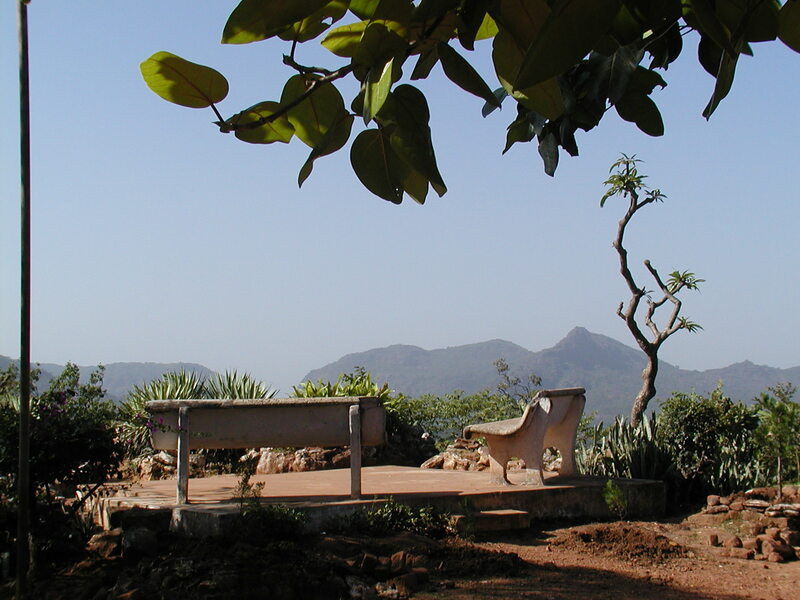 This hilltop was named as Panorama girl in honor of the visit of Dr. Rajendra Prasad. A Sapling he planted there is now a grown tree. Clearly visible from here are the hill of satpura range in their inviting gesture. Ravishankar Bhawan here was constructed for the comfortable stay of Dr. Rajendra Prasad. It is also called VIP Bhawan. The oldest house in Pachmarhi, Bison Lodge is constructed in 1862 by Captain Forsyth. It was used by Captain to survey and explore the surrounding forests. Now this building houses a museum, which exhibits the rich flora and fauna of Pachmarhi. 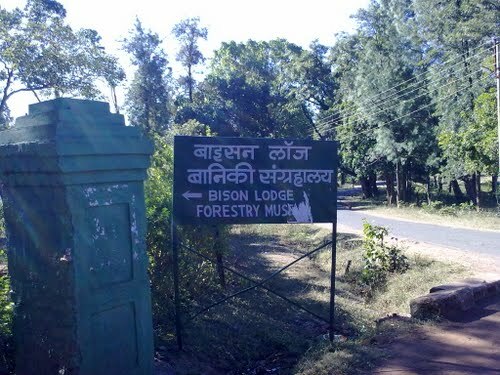 One can also seen stuffed tigers and a huge stuffed bison inside the lodge. Marvelous photographs of Pachmarhi and samples of wood from the neighboring forests also are put on show in this beautiful museum. 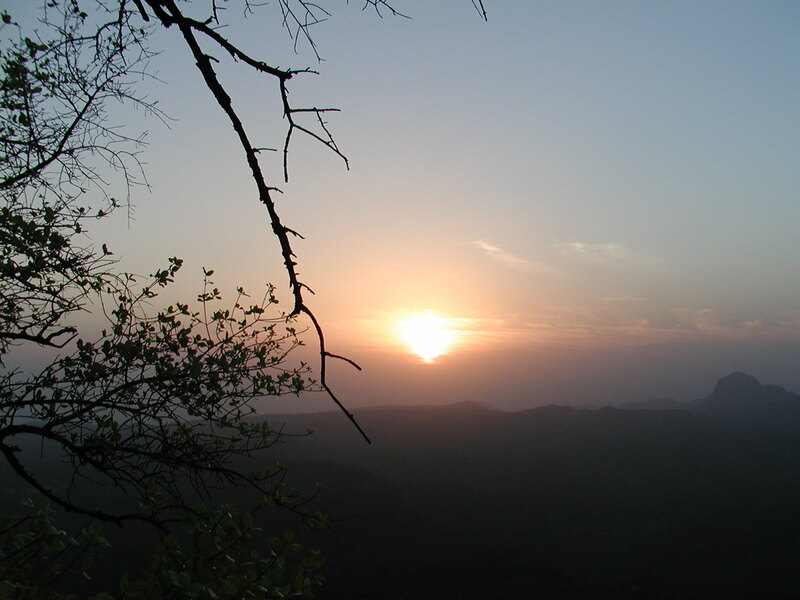 The picturesque Satpura ranges around Panchmarhi town hide countless natural and historical marvels. One of them is right inside the town - five rock-cut temples known as Pandav Caves. These rock-cut caves have been made in low hill and in front of this exciting monument there has been developed wonderful garden. Such garden is rather common sight of many Indian landmarks - beautiful tradition which would not harm visitor attractions in other countries as well. 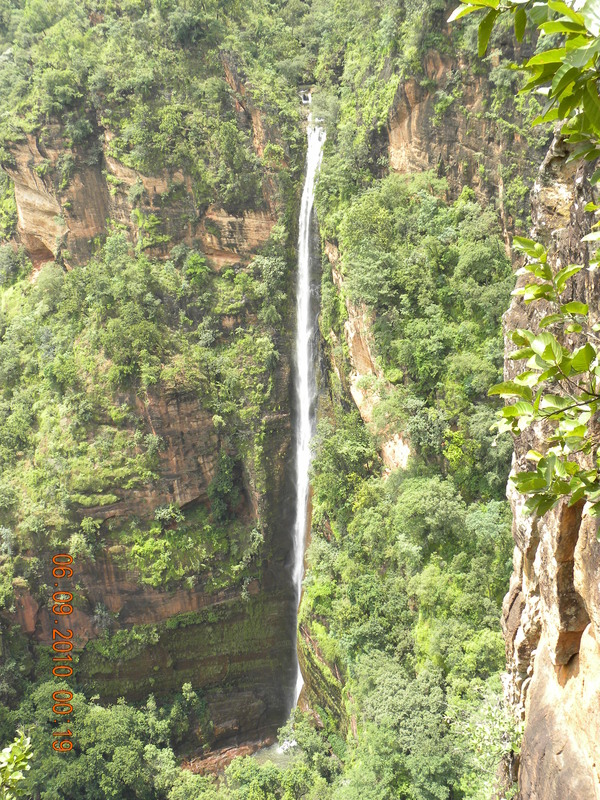 A spectacular fall in the stream, which provides drinking water to Pachmarhi, Bee Falls presents a picturesque look. One of the most beautiful waterfalls of Pachmarhi, this charming water stream, which is also called as Jamuna Prapat, flows and jumps into the valley and makes a buzzing sound. This magnificient cascade fills ever-lasting memories when one stays under its cold, fresh and pure water. 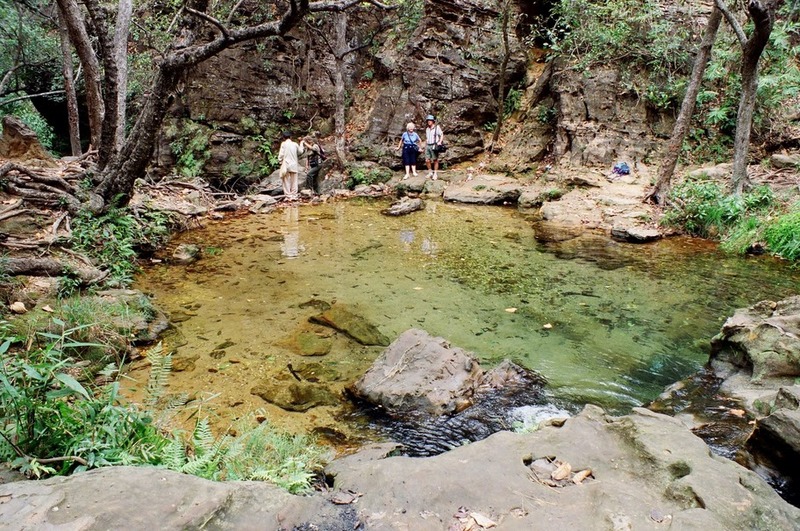 A natural bathing pool formed by a tiny waterfall, Apsara Vihar in Pachmarhi is located near to the Pandav Caves. Though near the fall the pool is deeper, at the end it is shallow and this particular feature makes it a favourite picnic spot of tourists. The pool is easily accessible and an ideal place for safe swimming and diving. This pool is also known as 'Fairy Pool'. There is an interesting story behind this cute name. During the British reign, the English ladies used to come here for a good bathe and the locals used to peep through from the nearby bushes. Since the ladies are of white colour, the locals thought them to be fairy queens or apsaras and hence the name Apsara Vihar or Fairy Pool. Apsara Vihar is a lovely little shallow bathing pool and it is a recommended place for families with children. Rajat Prapat also known as “Big Fall”, about 1 km away from Apsara Vihar, is a beautiful fall with a height of hundred and ten meters. The beautiful drops generated from water fall appear like shining pearls floating in the air. The fall gives a spectacular view during the rainy season. Due to the type of construction it gives an appearance of Fort to Reachgarh. It has 3 entrance gates. It is surrounded by the hills from all the three sides. 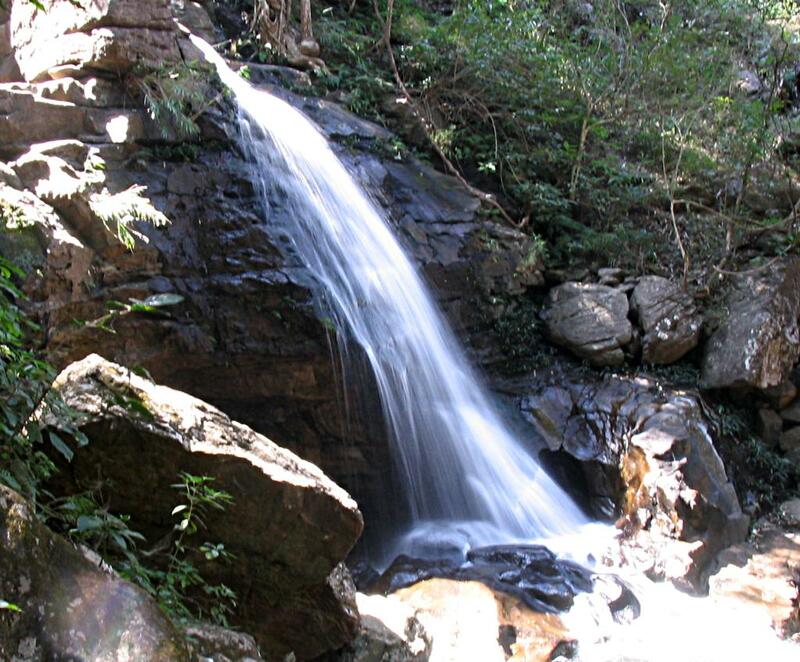 One among the beautiful cascades in Pachmarhi, Duchess Falls lies in the lap of the majestic Satpura range. 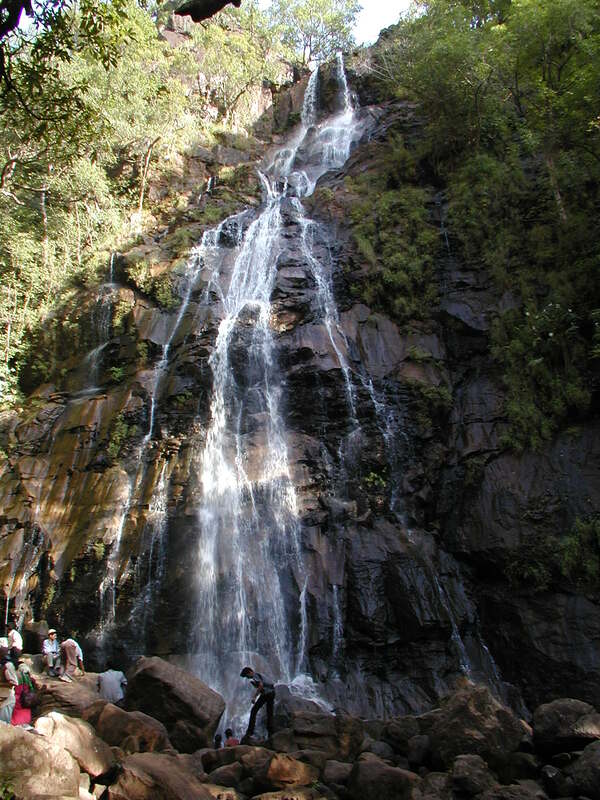 The gorgeous waterfalls stumble down in three different cascades and a strenuous trek of 4 km is required to reach at the base of the first cataract. The descent is steep and the trek strenuous for almost all of its stretch. The awe inspiring Duchess Falls feverishly crashes down over hundred meters creating a raucous roar. 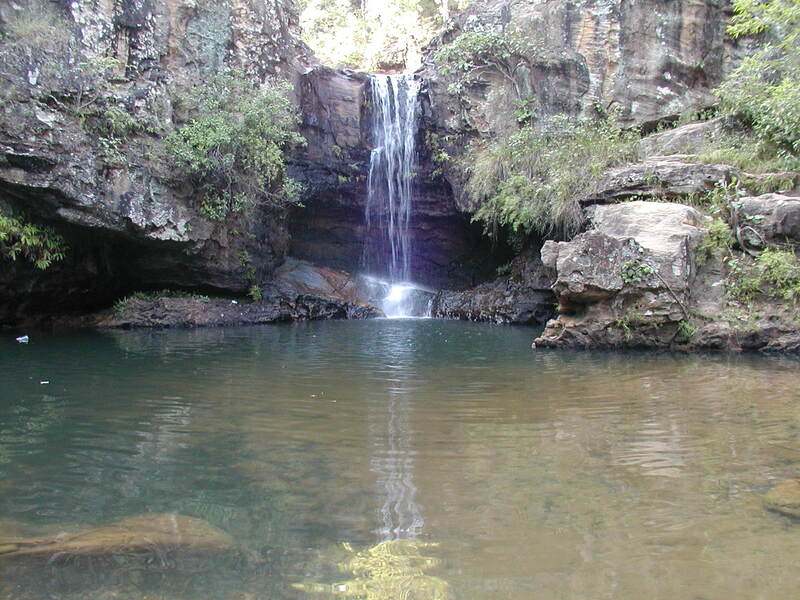 The surrounding area of the waterfalls provides a number of clear puddles where swimming is quite safe and enjoyable. It was in 1857 that Captain James Forsyth recommended the development of the saucer-shaped valley as a resort. 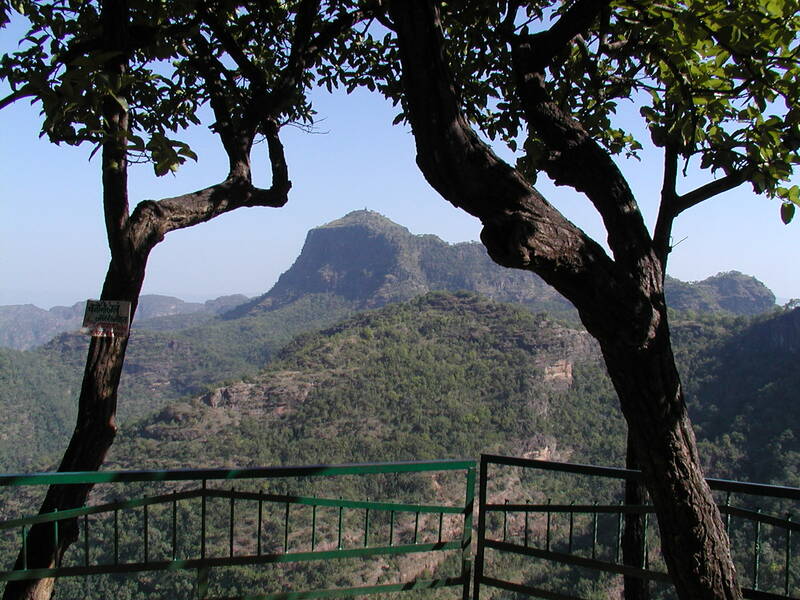 Development of Pachmarhi as a fast emerging hill station and tourist resort are the advantageous of the English reign. 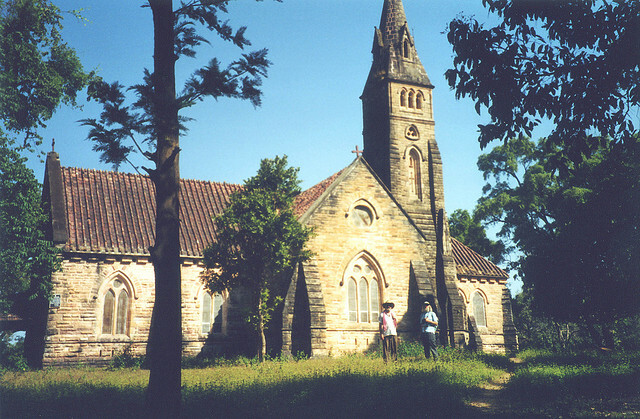 The Catholic Church in Pachmarhi is built during this period. A classic example of colonial era, this fabulous church allures the tourists with its exceptional beauty. 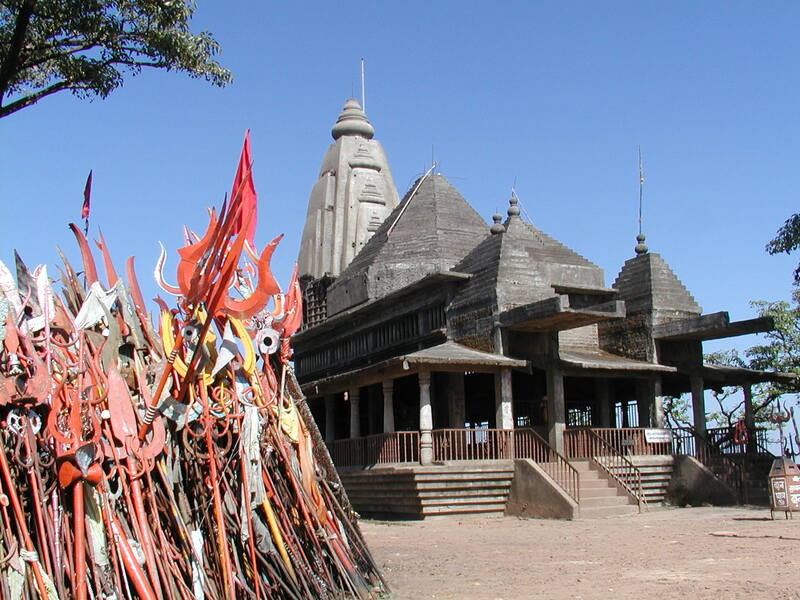 Temple worshipped by local people of Pachmarhi as their Mother Divine. Every traditional household ritual & auspicious occasion is celebrated with full faith at this temple by vicinities. Sandstone hills situated in the northern part of the Satpura Range at an altitude of 1363 m, Mahadeo hill in southern Madhya Pradesh is famous for the ancient shrine of Lord Shiva. This holy shrine holds an imposing idol of Lord Shiva and a fabulous Shivalingam. 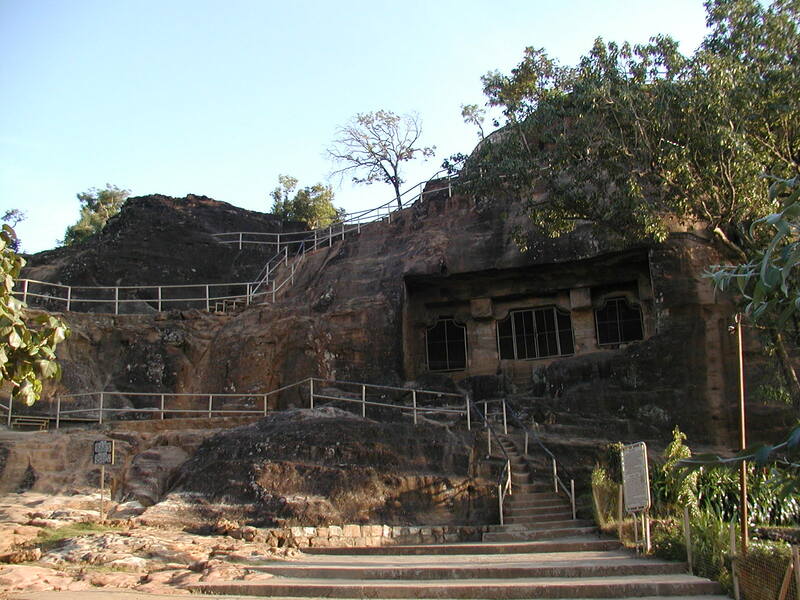 A hill with deep gorges and steep, Mahadeo hill is regarded as a holy place over centuries. The entry to Ramya Kund is from the small passage of reachgarh. The water continuously comes out from the Ramya kund. It is on the way when you go from Reachgarh to Chauragarh. This hill can be scaled from both east and west. For the rock-climbing enthusiast, there are some easy scalings to be done near the summit. 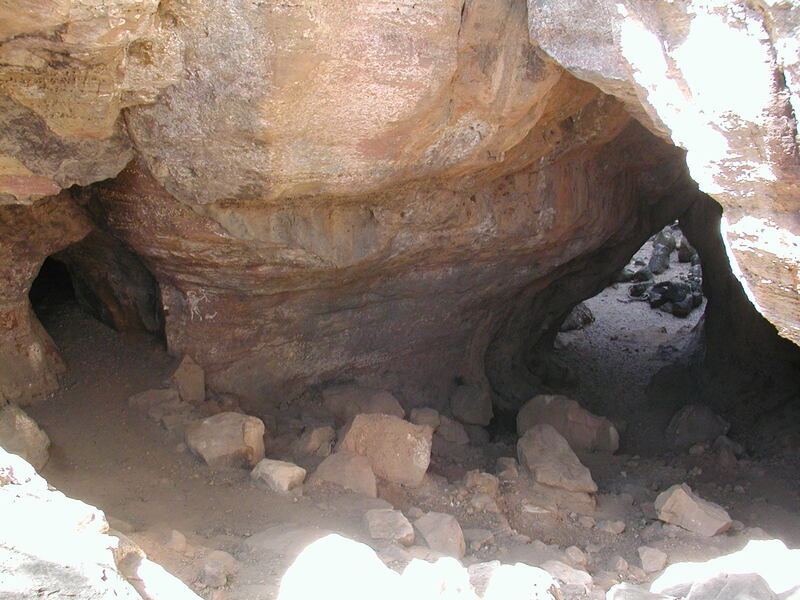 Near the western summit is an underground passage leading down the northern face. Crossing the stream below Duchess Fall and following a footpath about 2.5 km in a south-west direction, brings one to a huge rocky pool in the Jambu Dwip stream. This is an excellent place for swimming.